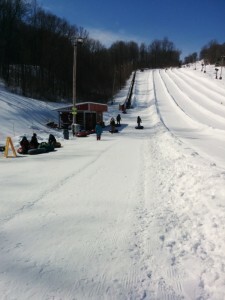 It’s been a bit cold this winter here in PA. 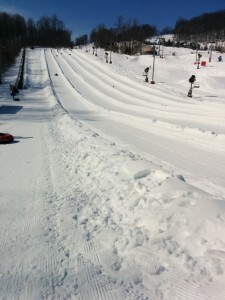 I am used to VA winters, which while they get cold, occasionally have warm days and the snow melts in between snow storms. Here in PA it’s considered warm when it is in the 20’s, that is because we can spend weeks at a time in the single digits. 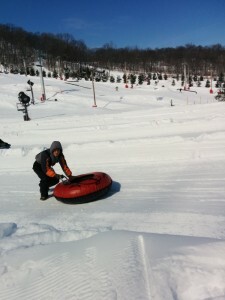 However, we (SixHands and I) did find something that we can actually do outside in the cold and we both like it. 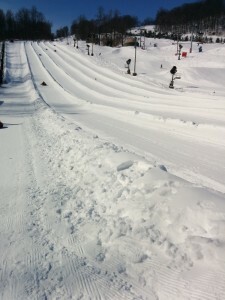 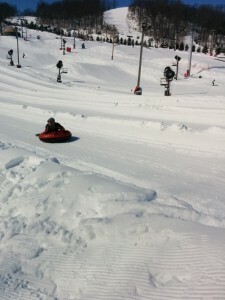 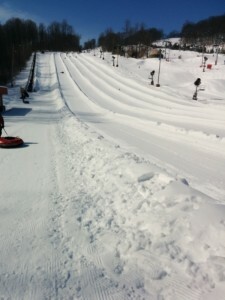 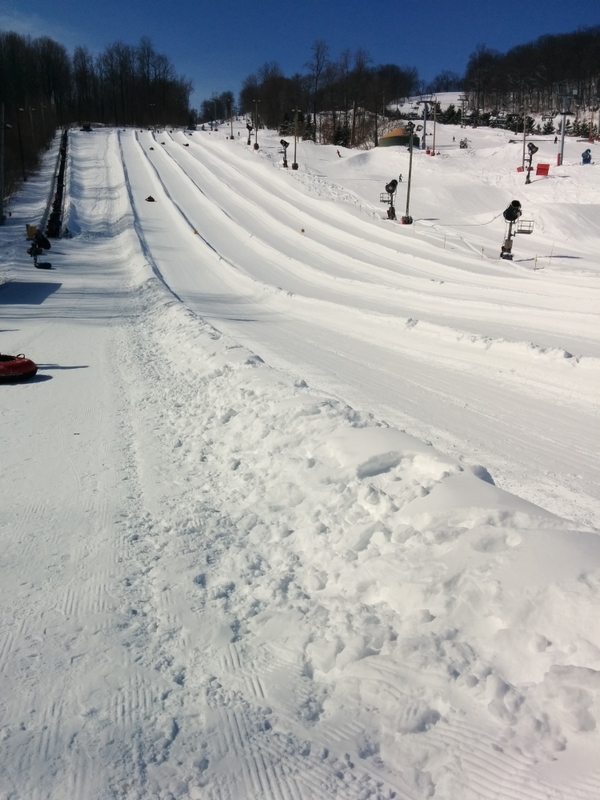 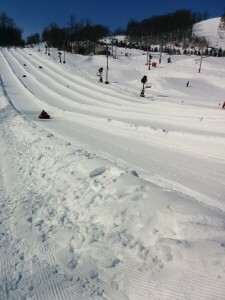 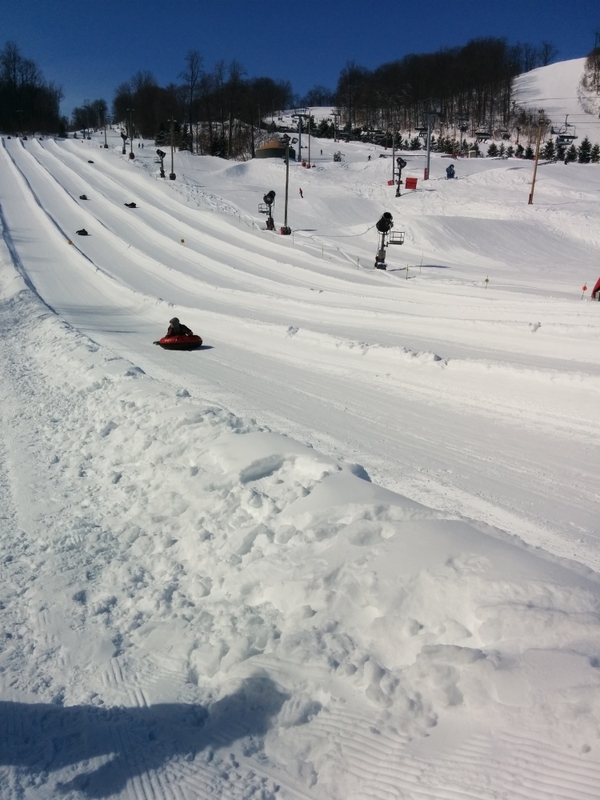 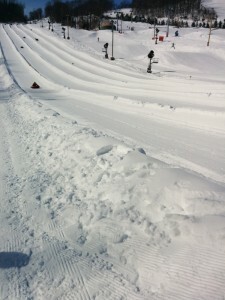 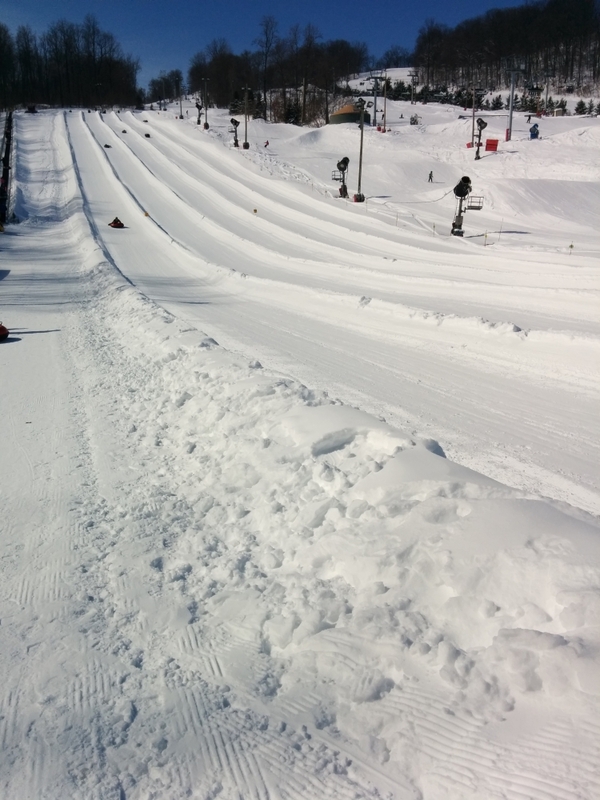 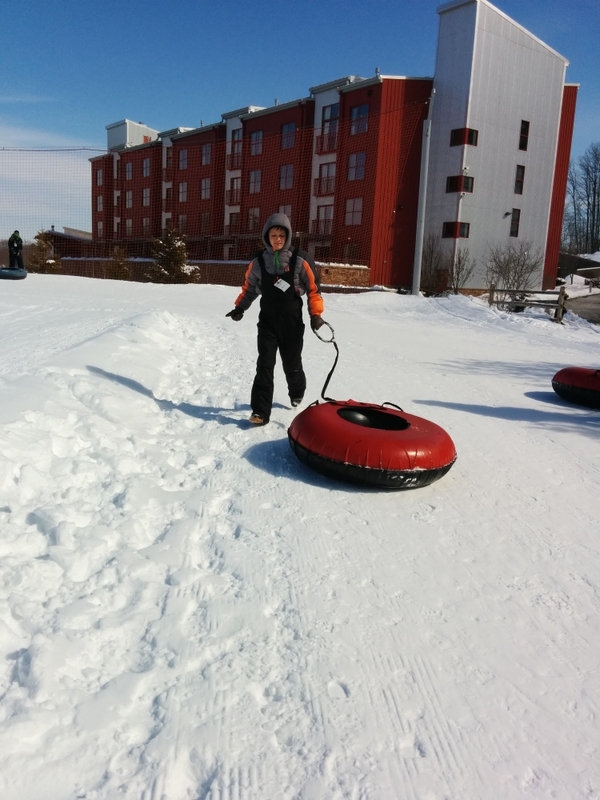 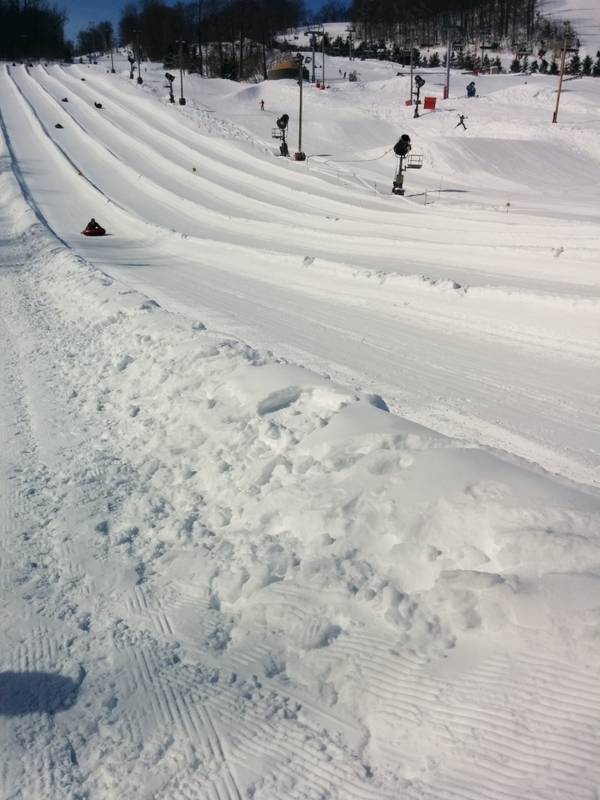 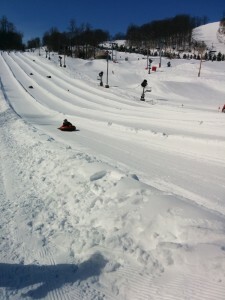 With SixHands’ Boy Scout Troop we visited Beer Creek Resort and went snow tubing! 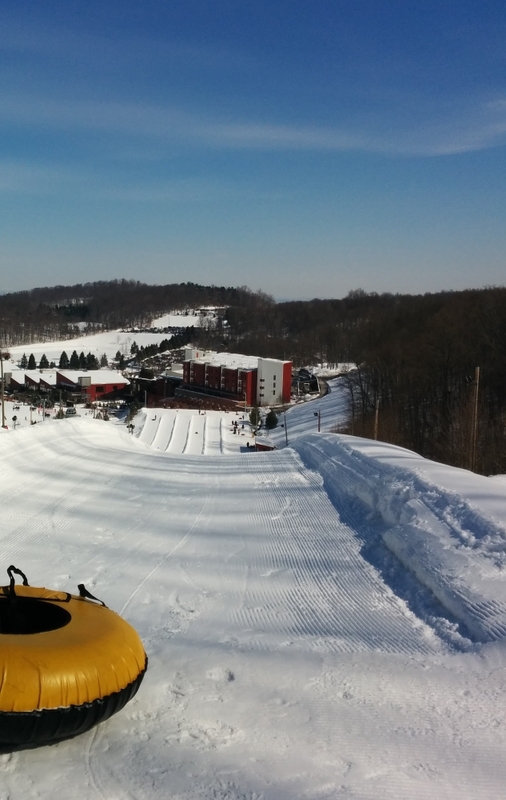 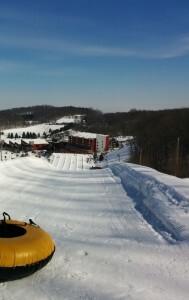 Here is a view from the top looking down – You had an option of getting a slow tube (with a more rubbery bottom) or a fast tube (with a solid bottom). I picked a fast tube!